In 2015, NASCAR will move from current broadcasters Fox/TNT/ESPN to Fox/NBC. 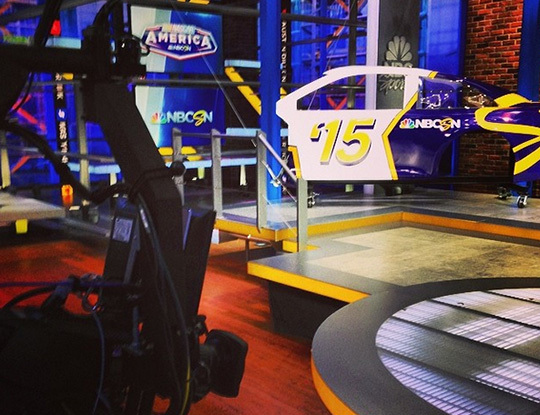 In anticipation, NBCSN (formerly NBC Sports Network) launched a weekly NASCAR show from its Connecticut studios this week. 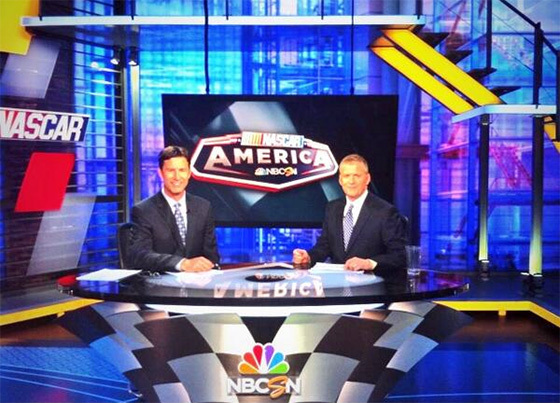 For the show, NBCSN added a new desk that’s clad in a checkered pattern, mirroring the flag used to end a NASCAR race. A cutaway racecar is also on the set, providing a tool for presentations and a interesting scenic element.